When so much contemporary art seems dryly academic and largely irrelevant to our daily lives, David Leggett’s art is like a big swig of Lil’ Wayne’s purple drank (a recurrent artistic motif , in fact, in Leggett’s drawings and painting collages). 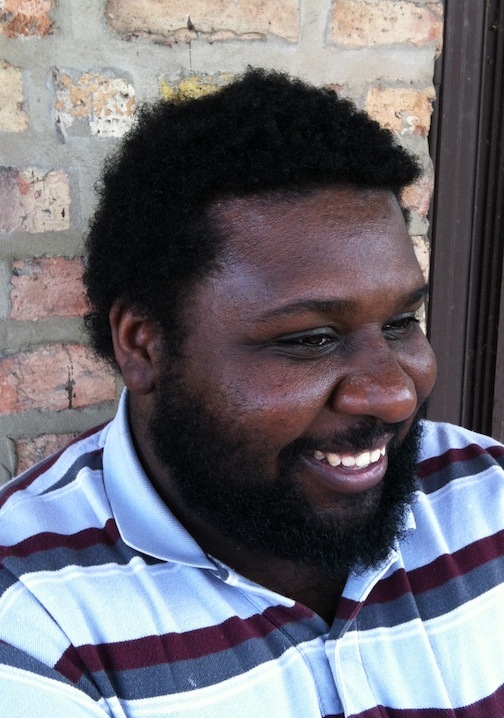 Leggett distills artwork out of hip-hop lyrics, toxic racial discourse and local politics. He enters slurs or stereotypes of all kinds on the gallery walls, which shock, but are all too common in mainstream media (see the professional football team of Washington or pretty much any comment section on YouTube). 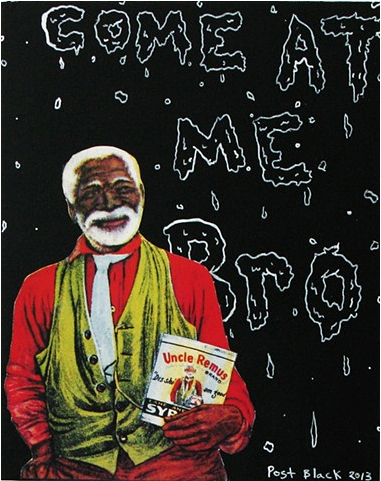 A recent work, “Let that boy cook,” includes elements of readymade racism using a cutout image of the smiling black man from Uncle Remus Syrup over the words “Come at me bro” with “Post Black 2013” written in the corner where an artist signature might normally go. The artist’s acerbic wit is expressed through his signature style of crafted creations whose adult themes burn through safe, child-like materials of felt and pompom balls, earning him three solo exhibitions in Chicago at the Hyde Park Art Center, Western Exhibitions and Hinge Gallery, and group shows in New York. davidleggettart.com.